Yury Shefler and Valentin Gapontsev, Russian businessmen included in the so-called ‘Putin List’ generated by the U.S. Department of Treasury, have hired American lobbyists to estimate the implications for their business, RBC reported. 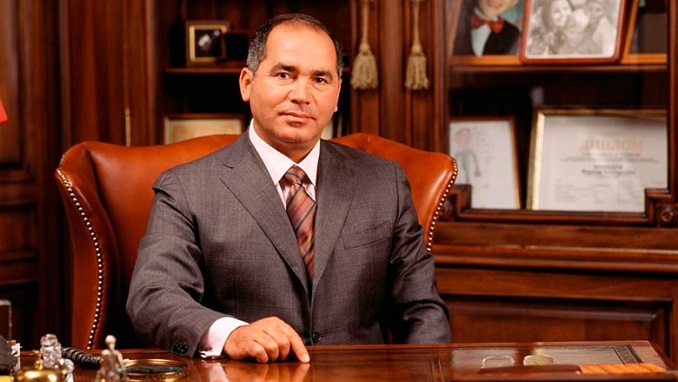 Another blacklisted businessman, Farkhad Akhmedov, said he planned to sue. The Department of Treasury has stressed that the specified list is not a sanctions list and no restrictions have been imposed automatically against those on the roster. However, Yury Shefler, the owner of a large alcohol company, turned to Covington & Burling lobbying firm to explore the estimated effect of the report on his firm and its main owner. Valentin Gapontsev’s IPG Photonics, based in Massachusetts, hired another lobbying firm, McLarty Inbound, to assist on matters concerning the enforcement of the CAATSA (Countering America’s Adversaries Through Sanctions Act), the report says. Farkhad Akhmedov, the ex-owner of Northgas, turned to lawyers to draft potential court claims against the U.S. authorities. “I am the first Russian businessmen to contest the so-called Kremlin list. So far, the list has been copied from the Forbes magazine, but in any case, I will be upholding my honor and reputation in an American court,” he told RBC. “Currently my lawyers are collecting required documents requested by Williams & Connolly (law) firm regarding the damage incurred,” he added. Experts polled by RBC doubt those lobbying efforts will be effective. Apart from the potential threat of real sanctions, being included in the ‘Kremlin list’ may have indirect implications, Panich explained. “A certain air is being created around this person, as the issue of imposing sanctions is likely to be considered regarding him, so American partners are becoming increasingly cautious towards cooperating with him,” Panich added. At the beginning the year, the U.S. Treasury published an open version of the so-called ‘Putin List’ that includes all members of the Russian government, along with Prime Minister Dmitry Medvedev, chiefs of the presidential administration, heads of some state corporations and state banks, as well as businessmen whose wealth, according to American sources, is larger than $1 billion. The list in total includes 210 people. It is divided into several parts: the presidential administration, the cabinet of ministers, political leaders, and oligarchs.